A large-scale lithograph in original hand colour; published by Kemp and Empson in Beverley, Yorkshire circa 1855. Very little is known about this beguiling print. 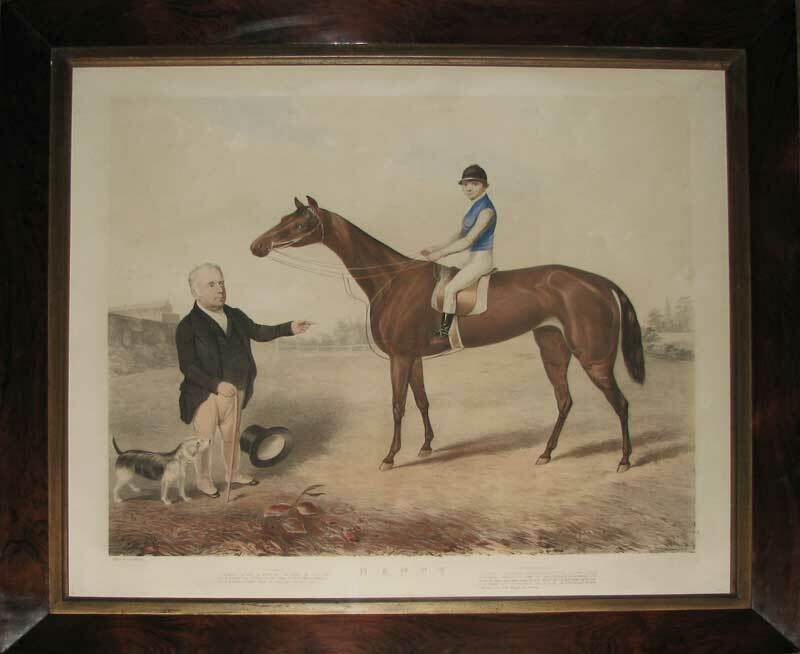 Nancy, the racehorse, was the winner at Chester in 1851. She also raced and won at Doncaster, York and Beverley so was clearly a significant, albeit provincial, participant at race meetings in the middle of the C19th. What gives the print its charm is the scale of horse, jockey and owner; the casually discarded top hat, the disproportionately small legs of the proud owner and the innocent, almost bemused, expression of the very youthful and neatly limbed jockey. Most prints of this era are of famous Derby or Ascot winners with meticulous attention to detail and scale. The naivety of this image lends it enormous appeal.